Steampunk is beautiful. There is something about the exposed metal and primitive looking artifacts that visually appeal to the brain of a maker and engineer alike. Makers have been busy the last decade building clocks with this theme because hey, everyone needs a clock. [Fuselage] has put together a Steam Punk Clock that releases actual steam(actually steam oil smoke) for its hourly chime. How cool is that? The clock is designed around the Conrad C-Control Unit (translated) which has the Motorola 68HC08 and [Fuselage] uses BASIC to write the routines for the system. Unlike a lot of steampunk clocks that use Nixie Tubes, this one uses 4 Numitron displays for the hours and minutes display. An analog dial panel display is employed for the seconds’ and is driven by a PWM signal. The absence of the RTC module was not obvious until we saw that the BOM includes a DCF77 receiver. For the uninitiated, DCF77 is a longwave time signal and standard-frequency radio station in Mainflingen, Germany. If you are anywhere within a 2000 km range of that location, you can pick up a 24-hr time signal for free which is excellent if you plan to make say… a radio clock. The steam/smoke generator is a subproject of sorts. The custom machine is designed to have a separate oil reservoir and pump in addition to the actual generator so that the system does not run out of fuel as quickly. Clearly [Fuselage] did his homework which is explained in brief in his project logs. The final design has a brass tube as the main heating and also serves as the outlet chamber. The oil is pumped from under the heating filament in the brass tube, and excess fluid drains off back into the reservoir. A piece of nichrome wire serves as the filament that vaporizes the liquid to gaseous form. Sensors make sure of the oil levels in the reservoir as well as the steam tube. Servo motors and fans add the effect of the opening the exhaust rain cap, and a small LED helps illuminate the exhaust to complete the impression of real steam. The project is a great example of a simple but effective implementation and for those who are wondering about Numitron Tubes, check out this tutorial on the subject. Of course, there is the Giant Electro-mechanical Clock for those looking at more sizable works of art. [Johannes] wanted to develop an unusual way to display time on a custom wristwatch. LED’s were too common, and mechanical indicators with small engines were too expansive, but Nixie tubes were just right. 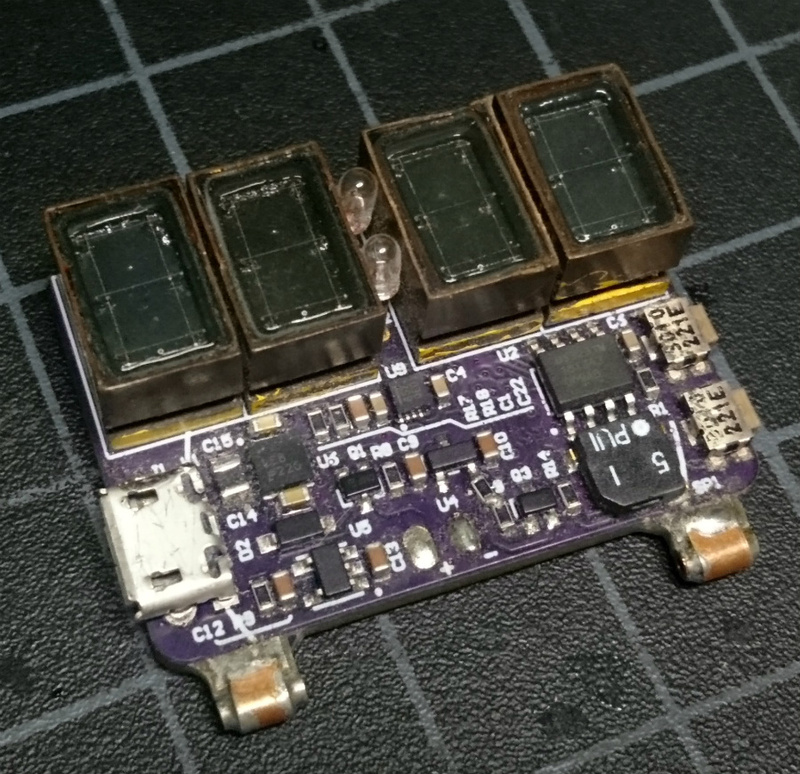 His design for the Numitron Geekwatch utilized two boards that were soldered together at a right angle, with a 3D printed enclosure made of semi-transparent PLA. Future designs of this will improve on the button functionality as well as the housing of the wristwatch to protect the fragile tubes from external forces.